I love this time of year, and seeing as we’re in November I am so excited to finally start talking about all the amazing Christmas launches that are happening! 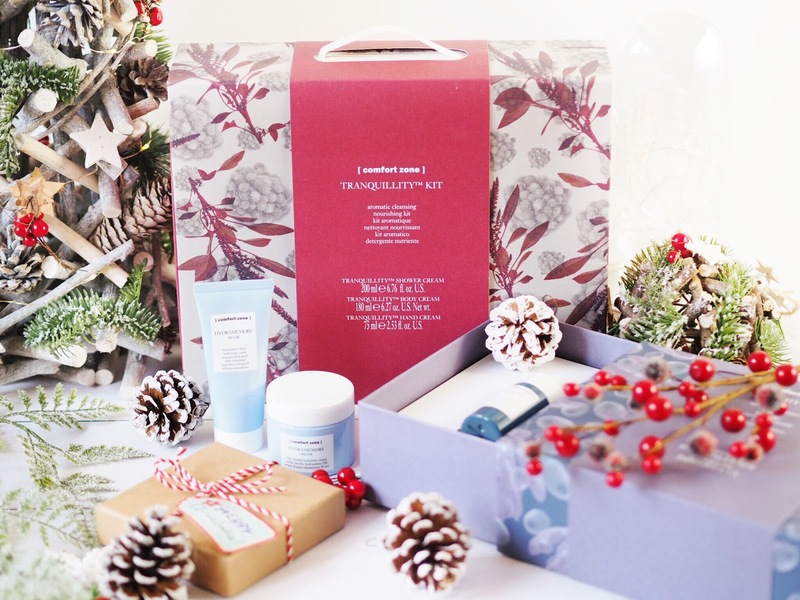 I featured my first Beauty Advent Calendar a few days ago (check it out here!) and now here’s my first post on dedicated Christmas Sets! It’s time to jingle those bells! Comfort Zone are a high performance skincare brand and their products are often used in high-end spas across the country. (Which is always a sign of products being good!) And I’ve actually tried quite a few of their bits and pieces over the last few years. I like Comfort Zone because they try to encourage a more holistic approach to life and skincare and think that our skin is the mirror of our mental wellbeing – so they strive to create products that will visibly improve it’s appearance while also encouraging a better state of mind. Pretty encouraging stuff. So I was really excited to get their Christmas Collection recently (which is available now) and they have some pretty impressive sets! I am a sucker for all the beauty sets at this time of year because they’re such good value for money, and you can usually find new products to try along with some of your favourites. The Comfort Zone sets are no different. Here’s my top three.. The Comfort Zone Tranquility Set contains a full size shower gel, body cream and hand cream – all of which have the Tranquility fragrance. Containing cedar wood, damascas rose and orange, the fragrance encourages peace and calm. It’s lovely for relaxing. The hand cream is one of my favourites because it’s very quickly absorbed and doesn’t feel sticky and then it leaves my hands feeling lovely and soft. I also love the shower gel because it’s a really calming scent to start the day with in your morning shower. 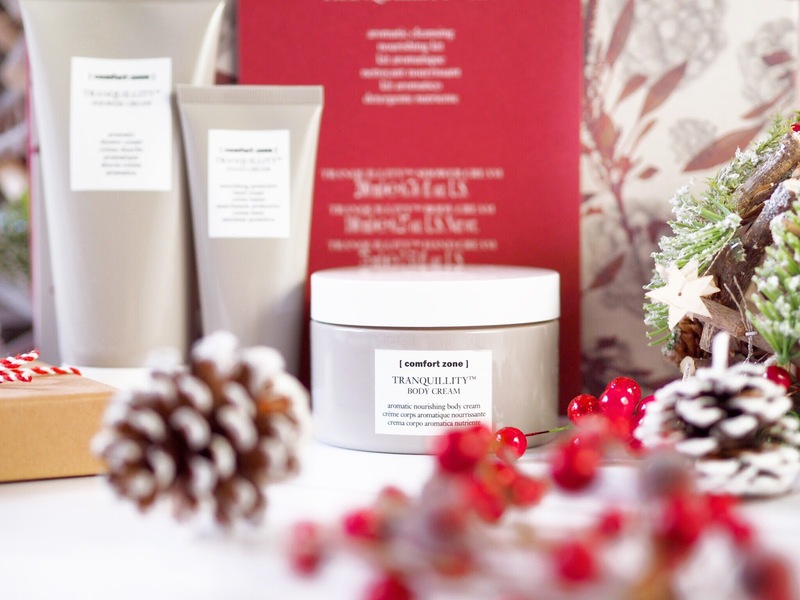 The Tranquility Kit would be a great gift for those with skin that suffers in winter – so anyone with dry patches. The blend of ingredients works well for cold, dry skin and you save over £10 on the retail value of buying the items individually. The Renight Kit contains the full sized Renight Cream and Renight Oil, which together are worth £98, so the kit is excellent value. 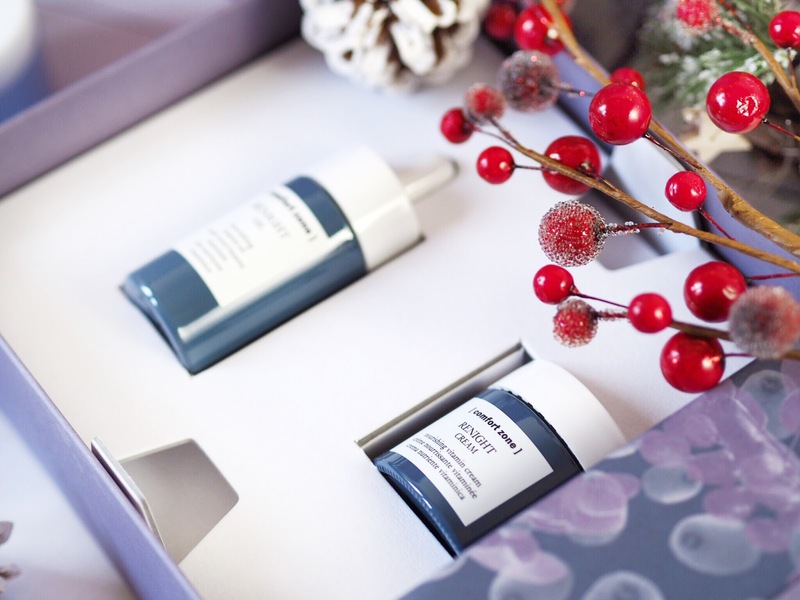 The Renight line is a nourishing vitamin face kit which is designed for all skin types. The Renight range would be particularly loved by those with stressed and tired skin (hands up if that’s you too!) and you apply the cream before bed following a light application of the oil. The oil itself is a lovely product which I’ve tried before and I found it to be silky and light, with no grease (which is my biggest pet hate with oils!) My Mum is also a big lover of the Renight Collection, so check this kit out if you’re looking for a gift for your Mum! The Hydramemory Kit has to be my favourite of the collection, but that’s because I love the Hydramemory range. Again, I’ve tried it before and found it worked wonders on my oily skin. (Hydramemory is designed for those with oily or very dry skin.) 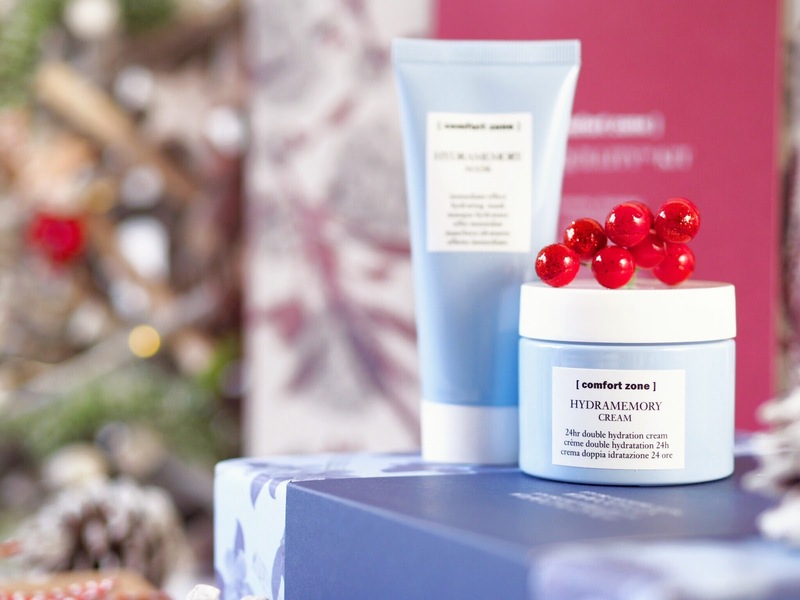 The kit contains the Hydramemory Mask and matching Cream, which together create a lovely little skincare routine, and together would cost £72, so again, it’s another great value set. The Hydramemory Mask is something you should use during a pamper session at least once a week, and follow with daily use of the cream. Together it will increase your skin’s natural hydration levels while also encouraging elasticity too. Both my Mum and myself have said that when we use this cream, it feels like you instantly quench your skins’ thirst – it’s a lovely lightly fragranced cream that soaks in to the skin. Plus I’m a sucker for skin care sets that have face masks in too! So those are my top picks from the Comfort Zone Christmas Collection, but there are other available too. 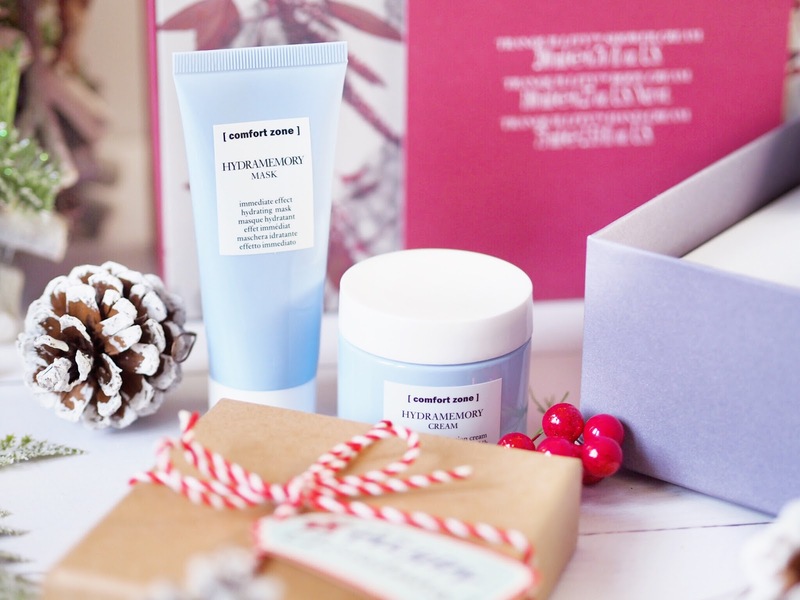 If you’re looking for gifts for a skincare lover then these would be well worth checking out for a lovely Christmas pressie!